Former Seattle City Councilor’s book offers pointers for taking Bernie Sanders’ revolution to the local level. 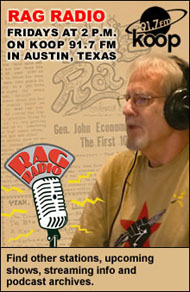 Reviewer Steve Early and author Nick Licata will talk about “Rebel Cities in the era of Trump” as Thorne Dreyer‘s guests on Rag Radio, Friday, July 28, 2-3 p.m. (CT) on KOOP 91.7-FM in Austin and streamed live here. 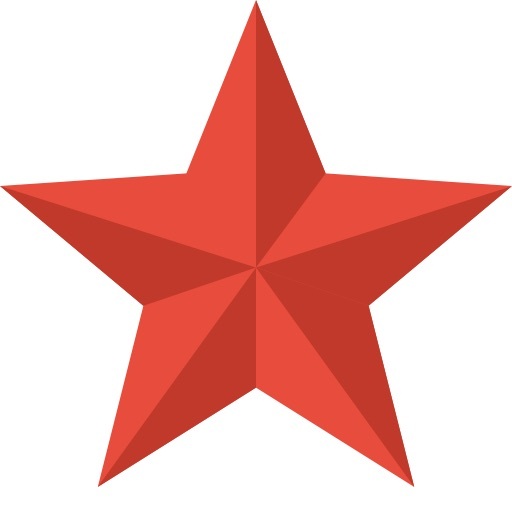 Steve Early and Nick Licata will also be featured at “A Tale of Two Rebel Cities,” a book party and discussion at Scholz Biergarten in Austin on Thursday, July 27, 7-9 p.m. For more information, go here. As the 2016 political season drew to an end, hundreds, if not thousands, who had been “feeling the Bern” started turning their eye to local politics. We need people running for school boards,” Ellison told The New York Times in May 2016. We need people running for City Council. We need people running for state legislatures. We need people running for zoning boards, for park boards, to really take this sort of message that Bernie carried and carry it in their own local communities. 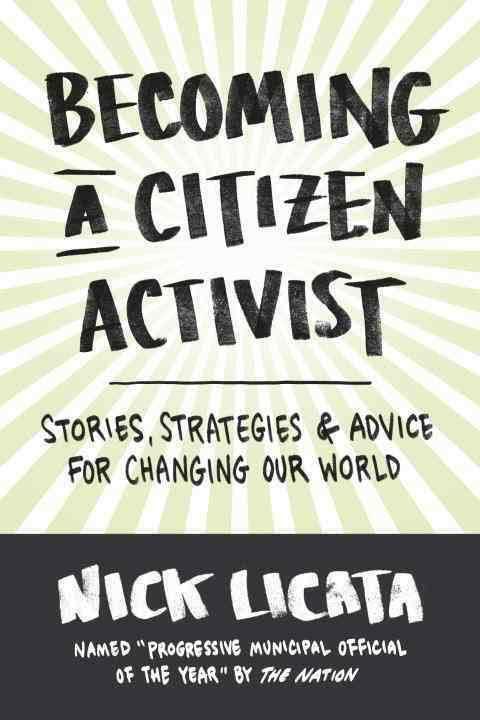 Fortunately for those seeking relevant political advice, former Seattle City Councilor Nick Licata published a handbook called Becoming a Citizen Activist: Stories, Strategies, & Advice for Changing Our World (Sasquatch Books, 2016). His book draws on 17 years of experience as a progressive elected official and varied campus and community organizing work before that. 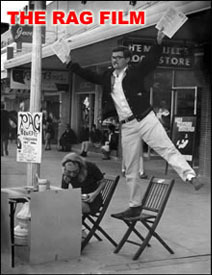 Like Sanders, Licata was a sixties radical. He belonged to Students for a Democratic Society (SDS) at Bowling Green State University and first learned retail politics at the dormitory level when he ran successfully for student government president. Licata had an unconventional resume when he first sought public office. Like some Sanders supporters who may or already have become candidates, Licata had an unconventional resume when he first sought public office. He had lived in a well-known Seattle commune for 20 years and founded two alternative publishing ventures, the People’s Yellow Pages and the Seattle Sun. A Democrat with Green Party sympathies, he defeated a candidate who was backed by the mainstream media and out-spent him two to one. “In the previous 128 city council elections, only two candidates had won when both daily newspapers endorsed their opponent,” Licata reports, so “the odds didn’t look good.” Fortunately, his message that the city should invest more resources “in all neighborhoods and not concentrate them in just a few” resonated with an electoral coalition of “young renters” and “older home-owners.” Licata’s own track record of neighborhood activism gave him the necessary name recognition and grassroots street cred to win. He describes Seattle’s four years of skirmishing over plastic bag regulation. He describes how Seattle’s four years of skirmishing over plastic bag regulation originated in one neighborhood’s opposition to a new waste transfer station. What might have been just another exercise in NIMBYism evolved into a city-wide push for waste reduction at its source, plus much greater recycling. A plastic bag fee, imposed by the city council, was overturned after a plastic bag industry-funded referendum campaign, but the city’s ban on Styrofoam containers survived. In 2011, the city council passed a broad ban on single-use plastic bags, which the industry opted not to challenge either in court or at the polls. 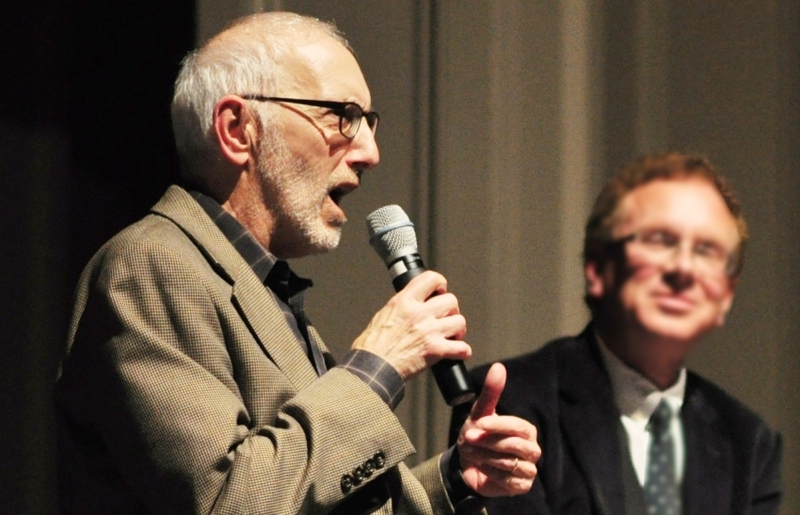 Nick Licata, with progressive journalist John Nichols in 2015. Photo by Joe Mabel / Creative Commons. I found myself initially offering cautious verbal support and not much more. Politicians like me were sympathetic but also felt that 15 dollars was way too big a lift. In my own case, I thought there were more readily achievable goals — like fighting wage theft. I found myself initially offering cautious verbal support and not much more. What made Seattle’s “Fight for 15” winnable was grassroots organizing by local labor organizations and left-wing activists, who were able to inject the issue into the 2013 mayoral race between incumbent Mike McGinn and his challenger, state senator Ed Murray. Shortly before the election, Murray endorsed a minimum wage hike to $15 an hour while McGinn insisted that Washington state should take action instead of the city. Once elected, Sawant was quick to utilize what Licata calls “the unique means that public officials have to help mobilize the public”: holding public hearings, forming issue-oriented or constituency-based task forces and commissions, and backing ballot measures like the threatened popular referendum on “15 Now” that kept Mayor Murray and his allies from weakening minimum wage legislation more than they did in 2014. Yet when Sawant — a generation younger than Licata — first ran against his longtime colleague, Richard Conlin, the council’s most left-leaning member didn’t support her. In Becoming a Citizen Activist, Licata now acknowledges Sawant’s unusual strengths as a radical politician, including her social media savvy, “dedicated following,” and ability to project “a message that resonated with the public.” Her tweets, blogging, and website use “helped her obtain 80 percent citywide name recognition after a year on the council, far surpassing all the other council members,” Licata reports. Licata had a major role in creating a multi-city network of progressive elected officials. One limitation of Licata’s book is the absence of any discussion about fielding slates of progressive candidates who are committed to a common platform that includes rejection of corporate contributions. To his credit, Licata did play a major role in creating the multi-city network of progressive elected officials known as Local Progress. In the Bay Area, this group includes Richmond, California city councilor (and former mayor) Gayle McLaughlin, whose Richmond Progressive Alliance only runs candidates who spurn business donations. Nationally, about 400 mayors, city councilors, county supervisors, and school board members use Local Progress as a “think tank” and clearing house for alternative public policies. Assisted by the Center for Popular Democracy in New York, the group distributes a 60-page handbook for improving labor and environmental standards, housing and education programs, public safety, and municipal election practices. At annual conferences — like its national meeting in Pittsburgh on July 8-9 — local victories of the sort Licata describes in his book are dissected and their lessons disseminated. Local Progress leaders believe that neither street politics nor electoral victories alone will make a sufficient dent in the status quo. As Licata told his fellow “electeds” when they met in New York two years ago, municipal government changes for the better only when progressives have “an outside and inside game… people on the inside and people protesting on the outside to provide insiders with backbone.” Licata’s new book provides many useful examples of that necessary synergy. 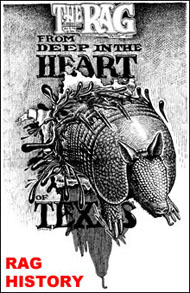 An earlier version of this article appeared at In These Times and at Moyers & company. 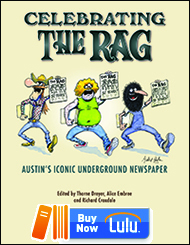 This entry was posted in RagBlog and tagged Books, Citizen Activism, Electoral politics, Local Progress, Nick Licata, Progressive Politics, Rag Bloggers, Steve Early. Bookmark the permalink.